A friend of mine mentioned a delicious breakfast pizza they got delivered to their office one morning, so of course, I had to find out where this pizza came from and try it. Well, I found the place but I have yet to try the famed breakfast pizza as it has been sold out every time I’ve gone. 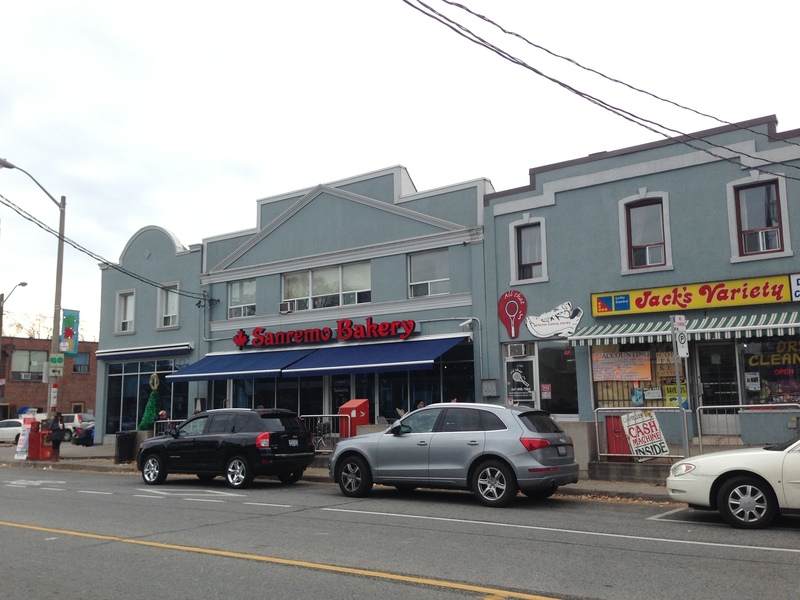 The bakery is Sanremo and is located west of downtown Toronto in a small residential neighborhood. 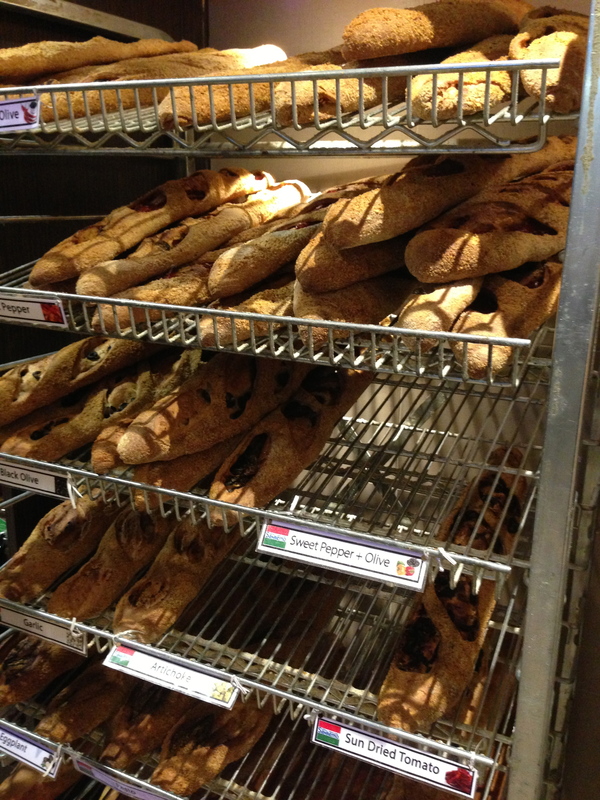 As soon as you walk in, you’re hit with shelves of Italian goods and the hustle and bustle of a really busy bakery. 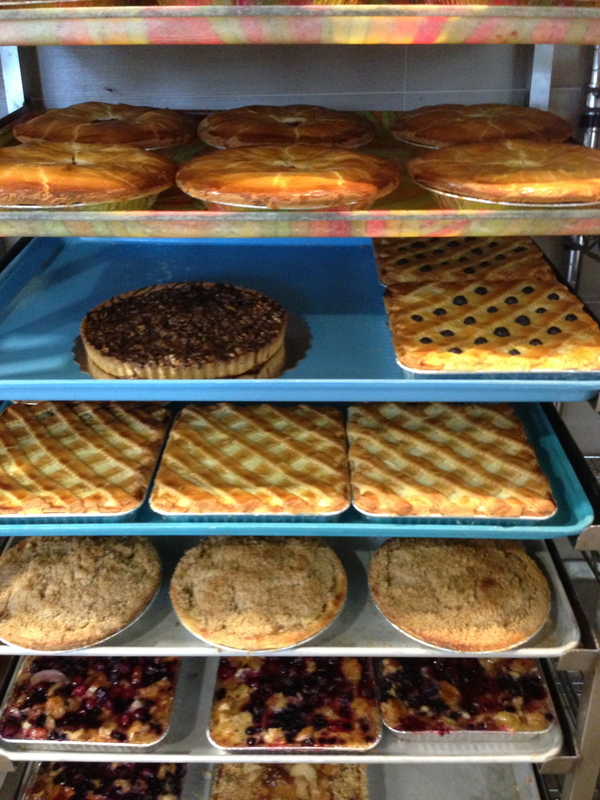 The bakery not only offers typical baked goods like breads, pastries, cakes, donuts and cookies but also ready-made dishes like lasagna, calzones, etc. but also an espresso bar! Although I haven’t tried any of the the hot/cold dishes, their apple fritters are the best donuts I have tasted in a very long time! I equate them to my experience in New York City with Doughnut Plant’s doughnuts. 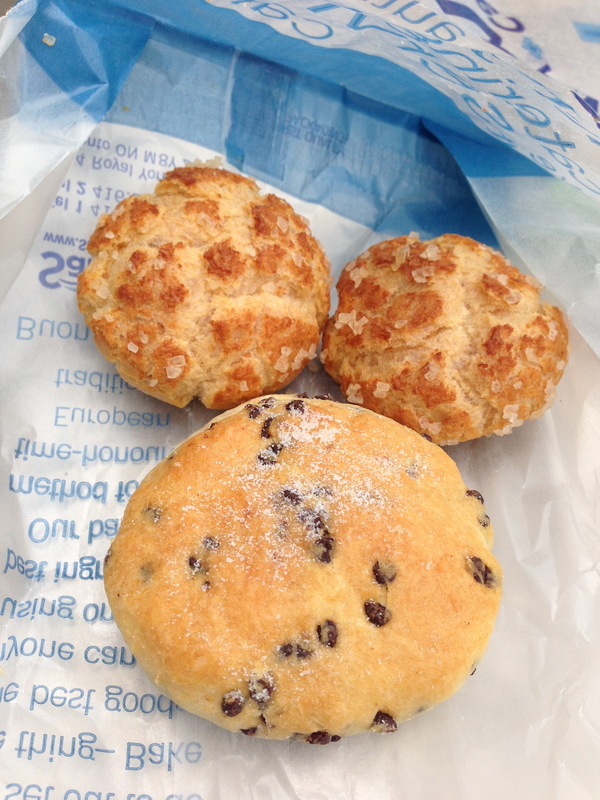 The fritters are moist with a crisp outside and coated with just enough glaze! Well worth making the trip! 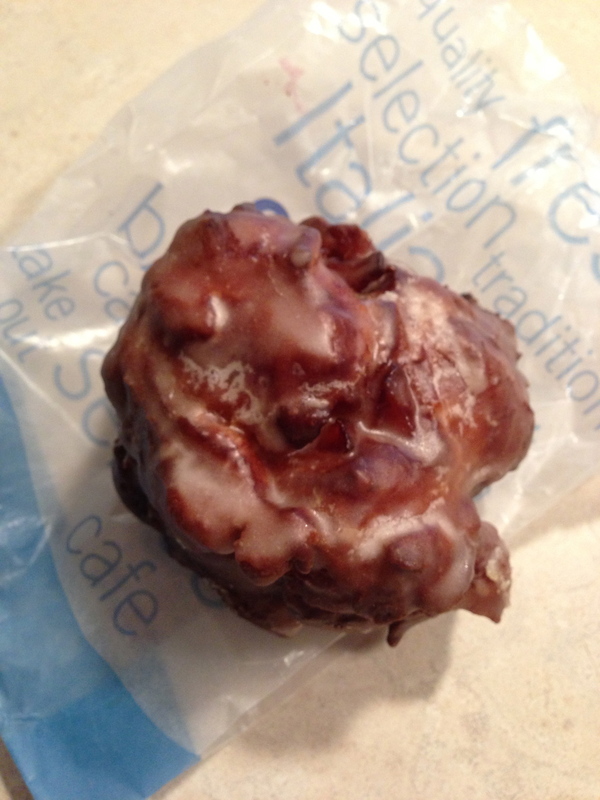 My favourite item – some of the freshest apple fritters I’ve had! 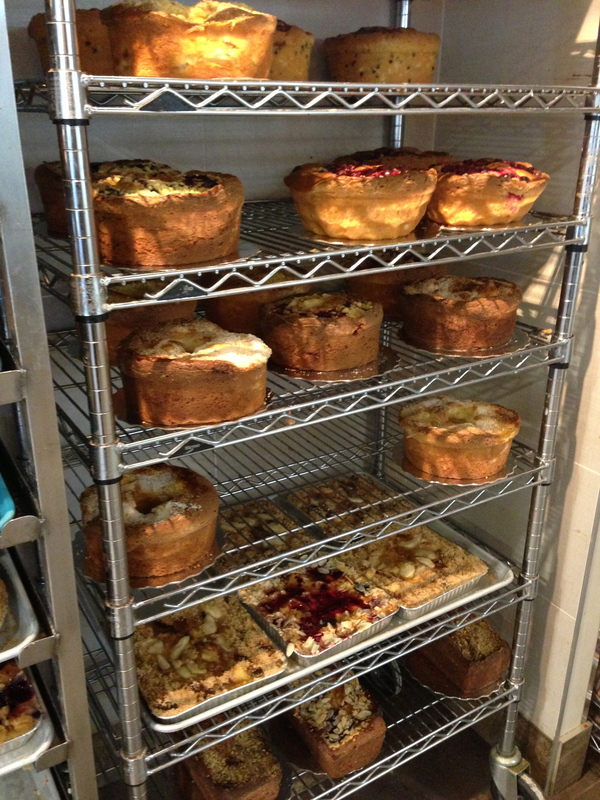 Shelves of pies and cheesecakes. So many different types of baguettes. 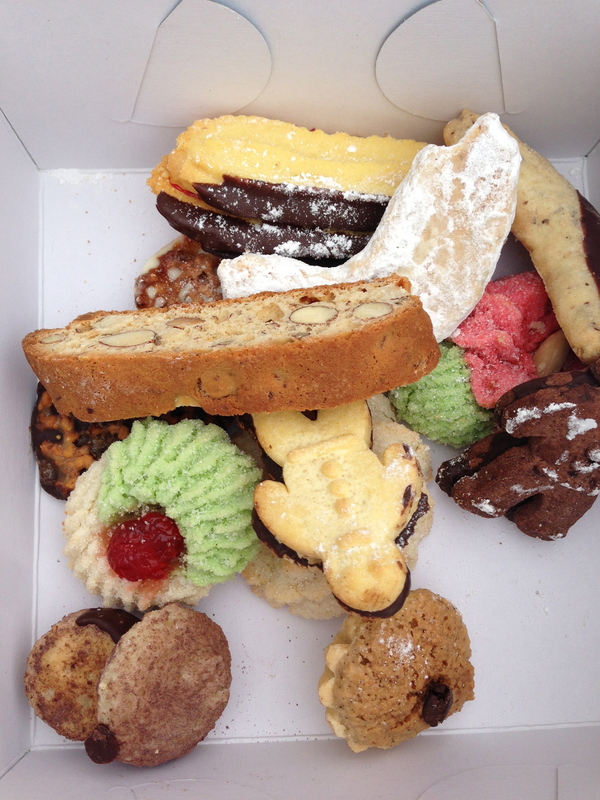 A variety of Italian cookies. 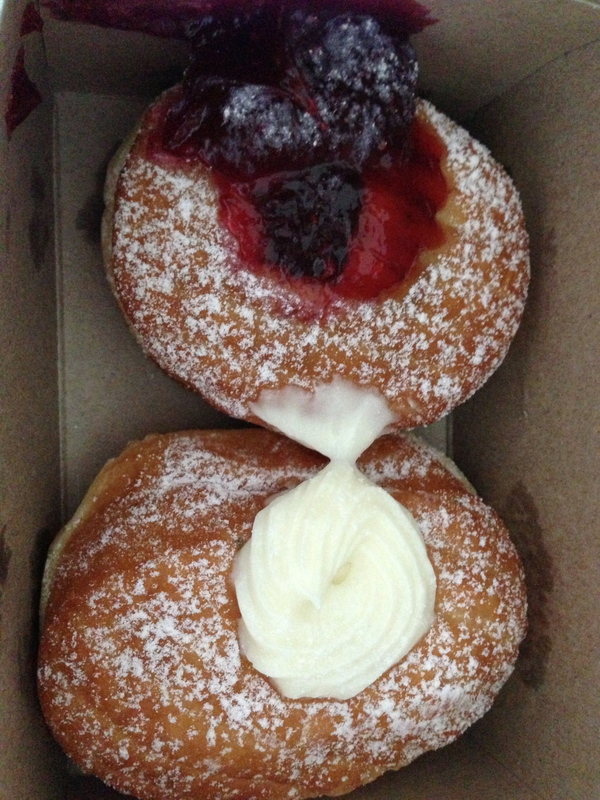 Jelly and custard filled donuts.